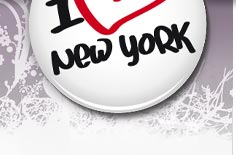 I love New York - a Travel Guide created by two who love New York - Welcome. We are two sisters who loves to travel. Our trips have taken us to different parts of the world, Thailand, Australia, Philippines, Mexico and different countries in Europe and the US etc. One of the cities we have returned to is New York. It started with a visit to a friend in New Jersey. We met her on our first trip to the US in 1993 when we visited California. A couple of years later we visited our friend in New Jersey and because that is a bit outside we went by bus for one hour to Manhattan and went back in the evening. After our visit we knew that we wanted to visit New York again. (Even though both of us have a goal to try to visit different cities and countries every time we travel). We have been here both in real cold weather and in the middle of the hot summer in July. It has it´s charm when ever you travel. The range of things to do and see is enormous. We find new things every time we go here, new things to see, new restaurants, new areas etc. 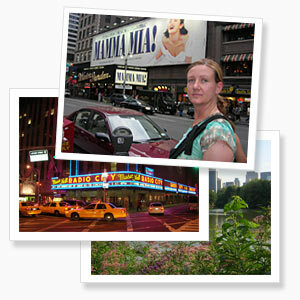 When you are here visit a theatre one evening, visit a museum, stroll around in Central Park and do some shopping etc. You shall not rush while you are here, quite simply try to enjoy your visit and if possible try to travel here several times instead (of course if you don´t think you have seen everything all ready). If you have plans just to visit New York for a couple times, one good idea could be to try to plan what you want to see and do before you leave home! You can get a really reasonable place to stay at, of course depending on your demands. You can stay at a luxury hotel, rent an apartment or stay at an Bed & Breakfast or Hostel with bathroom in the hall. If you love the citypulse, history, shopping, theatre etc, we can recommend a visit here. We don´t think you vill regret it. Put New York on your list of "must go" destinations! Due to that we have travel a couple of times to New York we wanted to share our information to others. Then we started the website "love New York" We will continuously give you information and tip about sights, museums, shopping etc. New York will always contain of a lot of information and we will not be able to spread everything, but we will do as good as we can. We gladly receive tip, suggestions, corrections etc. We have many visitors to New York each month. We are collaborating with various companies today. We would like to see more collaborations in the future. If you are interested in collaborating or by advertising at ilovegoteborg.se, feel free to contact us. I Love New York collaborates with various partners / providers with diverse activities in New York. We are not a travel agency but sell airline tickets, hotels, activities tickets through other actors. When you have completed a booking and questions arise - please contact the provider responsible for the activity you have booked. Between 11 June and 15 September organized I Love New York a contest in conjunction with Walt Disney Studios Home Entertainment AB. This time it was the movie BOLT which was raffled off to five lucky winners . We are pleased to announce that we in December 2008 started a collaboration with CitySights NY, which offers various tours in New York. They are most known for their bus sightseeing, and they offer several different tours. They also offer harbour tours and helicopter tours, etc. 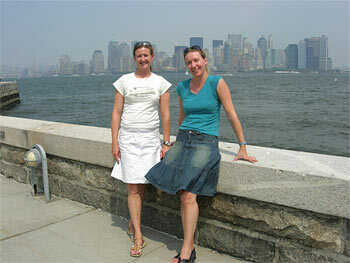 Any questions about CitySights NY tours, please go directly to CitySights NY. Then it was time for our new website on another American city that we have come to love - Las Vegas. As you know, we are a bit travel crazy and want this website to show a part of everything that happens in Las Vegas. The first thing you think of when you mention Las Vegas is probably all the myriad luxurious casinos that attract us to gamble but there are actually many other things to do like shopping, eat, go to the theater and perhaps see any of the celebrities who are here and perform. So here is our sister site www.ilovelasvegas.se. Welcome! We must of course also make a home page about our own city Gothenburg and this resulted in a sister site www.ilovegoteborg.se. There are also a lot to see, do and experience in a smaller city as Gothenburg. We hope we can tell you about experiences in Sweden's second largest city and that this may entice you to come for a visit. We welcome suggestions from you who have been in Gothenburg and lacks something on the website.